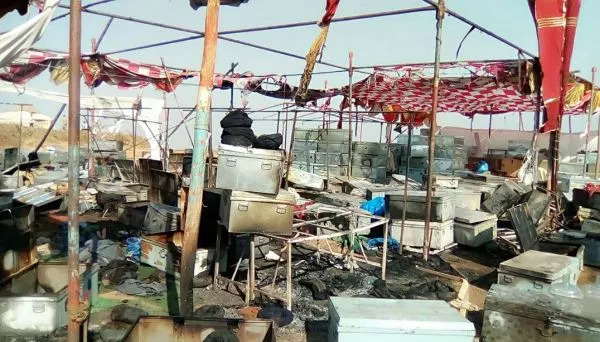 Padmavati Sets Burned with Petrol Bombs in Kohlapur, Heavy Damage Occured! Padmavati seems to be a trouble for filmmaker Sanjay Leela Bhansali. A few months ago, Padmavati sets were vandalized by the Rajput community and now the sets are in trouble again. The movie is in the news since the day it has been announced. Today, at 2 am, another incident took place on the sets of Padmavati near Kolhapur. Unidentified locals set fire to the movie set. 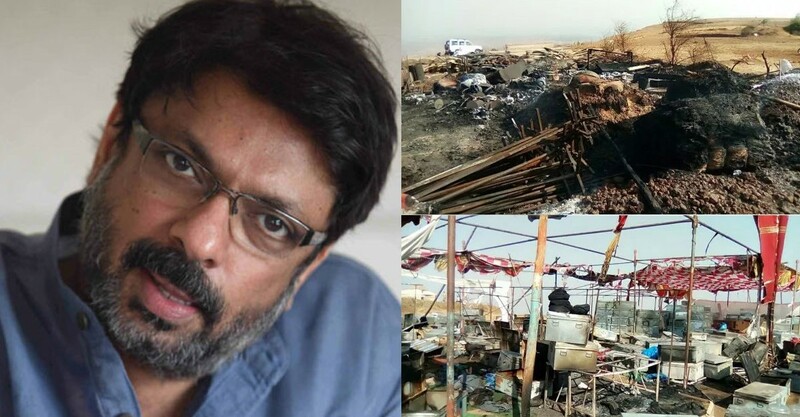 Sanjay Leela Bhansali was shooting at Masai Pathat at 2 am when they found petrol bombs in the set. Before setting fire, they damaged the parked cars and costumes of the film. Also, animals were present on the sets at the time of the incident and a horse is said to be badly injured. The police was called and they reached the spot early in the morning with several fire engines. The fire was brought under control. 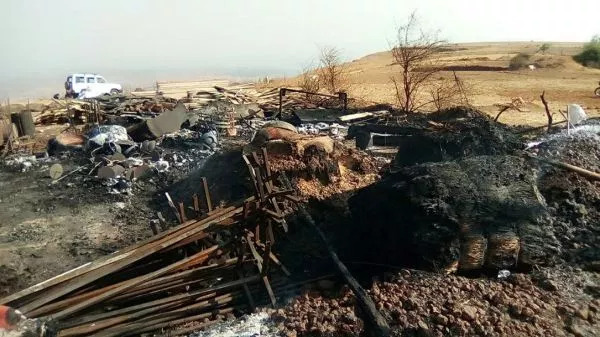 According to the reports, around 30-50 people were seen who attacked the set of Padmavati with torches, stones, lathis and petrol bombs in their hands. They fought off the bodyguards and bouncers and continued their attacks. The damage happened was on high scale. The search to get the culprits is still on. Details about the attackers are still not confirmed.